Berkeley, CA â€“ 28 December 2011 â€“ Top Cow Productions announced today that they would be extending the first round of Pilot Season voting through the end of the year. The enthusiasm and volume of votes in the first two weeks of voting overwhelmed the servers at topcow.com and as a result the company’s site was down for several days last week. 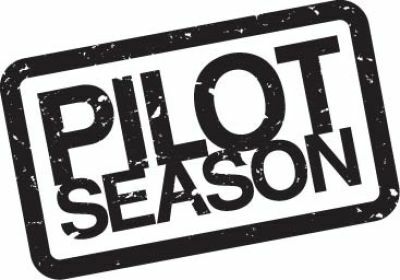 Every year, Pilot Season pits a number of original concepts and creative teams in a head-to-head battle for fan votes to see which one title will continue. This year eight single, self-contained â“pilot issuesâ€ were released and voting began at topcow.com on December 5th. The competition quickly became heated and despite Top Cow increasing their bandwidth with their hosting company, voting overwhelmed the company website and exceeded its bandwidth. The publisher’s website has now been restored and migrated over to a new more substantial server capable of handling the additional traffic. In the interest of giving each competitor the full allotted time, Top Cow has also extended the first round of voting until Saturday, December 31st at 11:59pm PST. The second round of voting will begin on Sunday, January 1st at midnight PST. As a reminder, the second round will be narrowed down to the top four vote-getters and will be limited to one vote per person per day. The second round of voting will run until Saturday, January 7th at 11:59pm PST and the final round will commence on Sunday, January 8th at midnight PST (limited to one vote per person per day). The top two vote-getters will compete until Saturday, January 14th at 11:59pm PST and a winner will be announced the following week. Additionally, Top Cow has announced that beginning January 2nd, the top four vote-getters will be available in their entirety for free through Top Cow’s digital distribution partners and on topcow.com for fans to read and make an even more educated voting decision. Top Cow’s distribution partners include comiXology, Graphicly, iVerse, Wowio, DriveThruComics, MyDigitalComics, and others. The titles will be free until the end of the voting period.